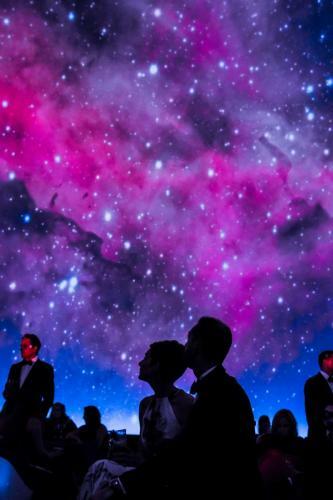 On Saturday, September 8, 2018, the Adler Planetarium Women’s Board hosted the Adler’s biggest fundraising event of the year, the 2018 Celestial Ball. 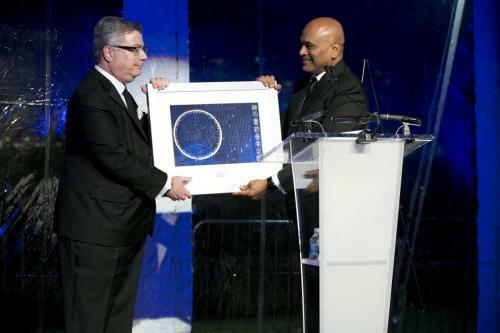 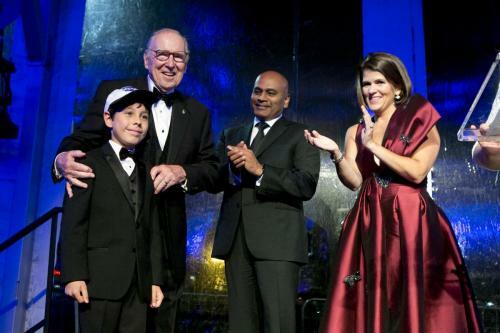 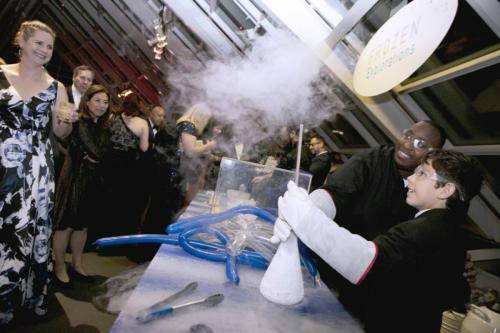 The annual black-tie gala raised more than $2 million for educational programming that engages people in doing science and inspires young people to pursue careers in science, technology, engineering, and math (STEM). 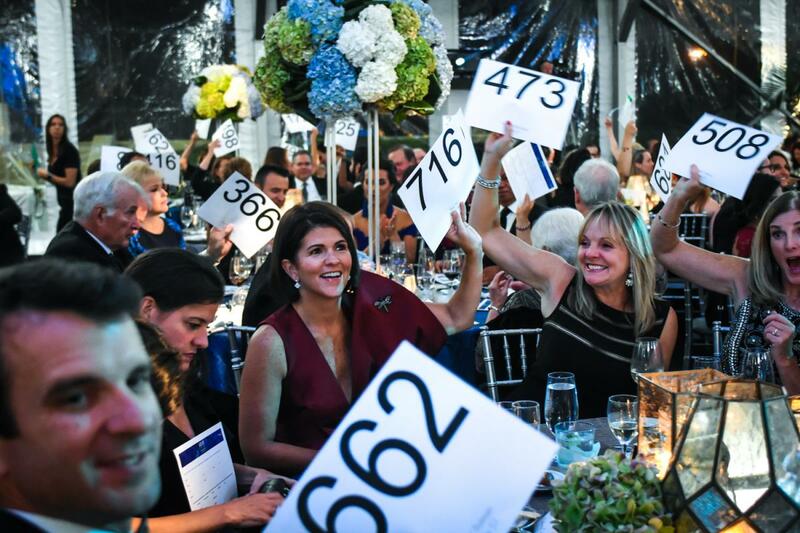 President of the Women’s Board, Meg Sauer, and Event Co-Chairs of the 2018 Celestial Ball, Lisa H. Bertagna and Mihra Seta, along with Dinner Chairs Pradip Patiath and Jim O’Connor, Jr., welcomed a sold out crowd of more than 700 guests, including business, civic and philanthropic leaders in the Chicago community. 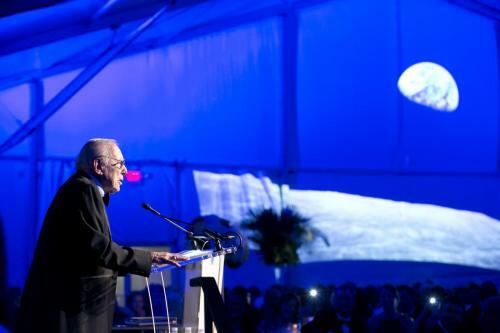 The Adler was honored to present American hero, Captain James A. Lovell, Jr. with the 2018 Lifetime Achievement Award. The 2018 Corporate Partner Award was presented to Magellan Corporation represented by its President, Bob Arthur. Thank you to all of our sponsors and contributors for your generous support! Lifetime Achievement Award: Captain James A. Lovell Jr.
Pradip K. Patiath & James J. O’Connor, Jr.